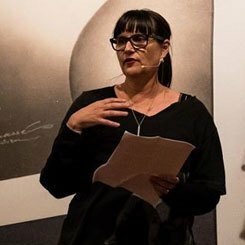 Colloquy is a 4-episode podcast series which explores how other languages enlarge New Zealand literature written in English. We speak with New Zealand writers, publishers and readers about the role of “world words” in their work and the New Zealand literature they love. In this fourth episode of new podcast series "Colloquy" we talk to novelists, poets, essayists and publishers about the role translation plays in their reading, writing and publishing. We talk to writers who translate and to writers who have worked with translators. Which books in translation inspire New Zealand writers? What is it like to see your work in another language? The music for Colloquy is “Alright Now“ written and performed by Brent McIntrye.